Antique Ivory Floral - Medium Basket Container The Lucky Clover Trading Co.
Let the colors of spring show and place your garden flowers in this medium square floral planter in antique ivory. Adding a burst of color will make the detailing on the planter pop out. Use in the kitchen to store dish washing soap and sponges. Or use as a candy jar. Made out of metal and brushed in bronze and antique ivory. Also available in large. Just beautiful and elegant. 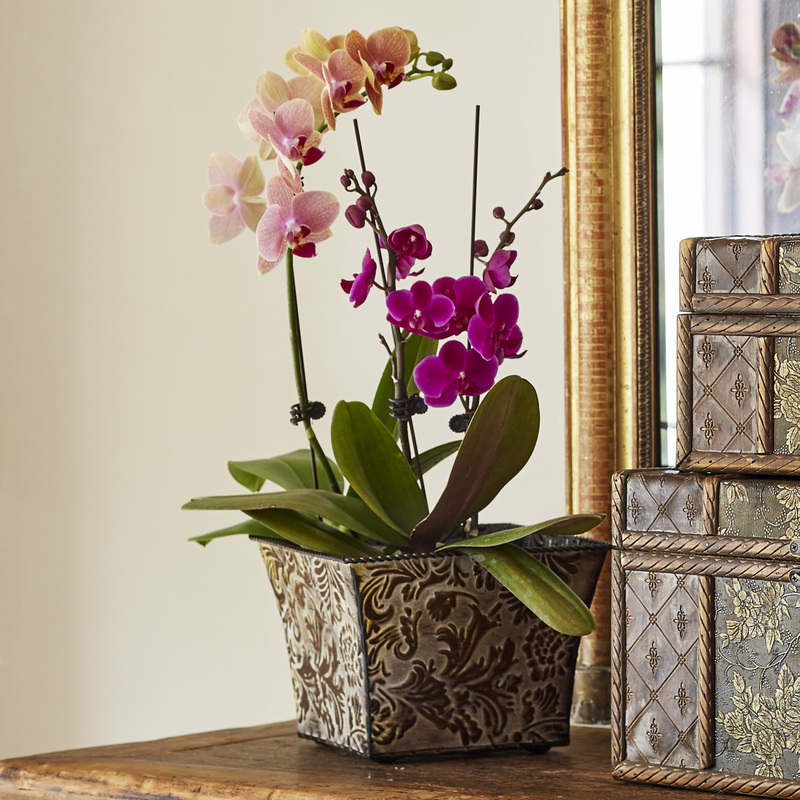 Looks fabulous with my silk orchids. Like the other items I ordered, this one is excellent quality. Very pleased to find it on clearance. Also, all items were packed very well for shipping. Thank you.